Why do I keep receiving emails to complete a Return To Work Form? 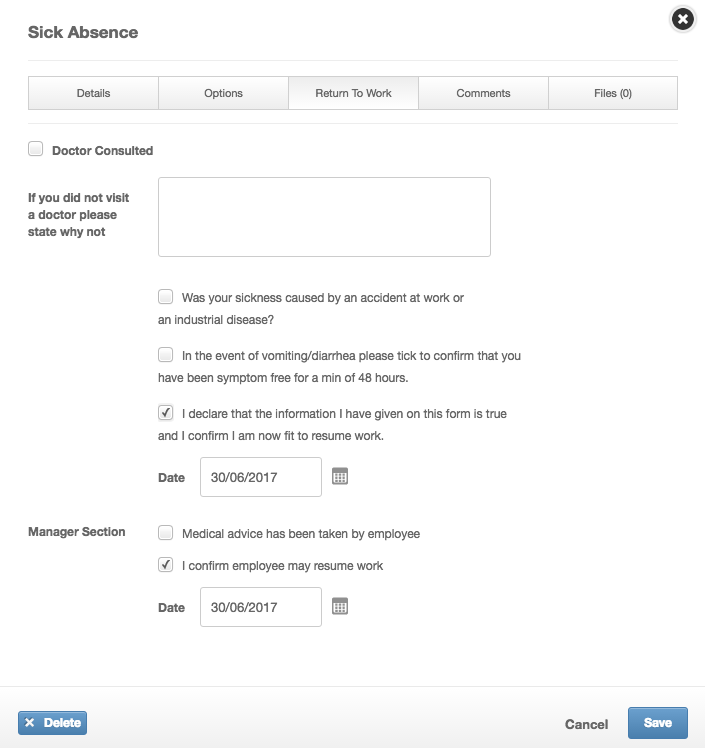 If there has been a recorded sickness and the sickness 'reason' requires a Return To Work Form, this email will generate the day you come back and every day until this has been completed. This setting has been chosen by one of the HR admins at your company. How do I complete a Return To Work Form? 4. 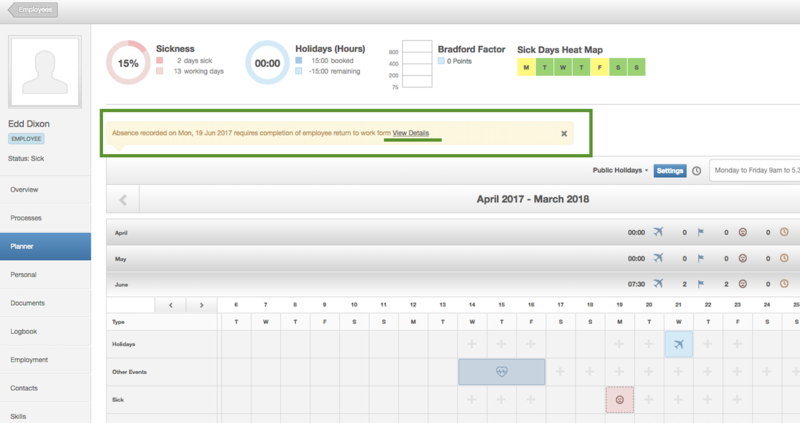 Click on 'View Details' and complete the return to work form, this must be completed and dated by employee and manager. 5. Once the form has been completed, no further return to work emails will be scheduled for this absence.